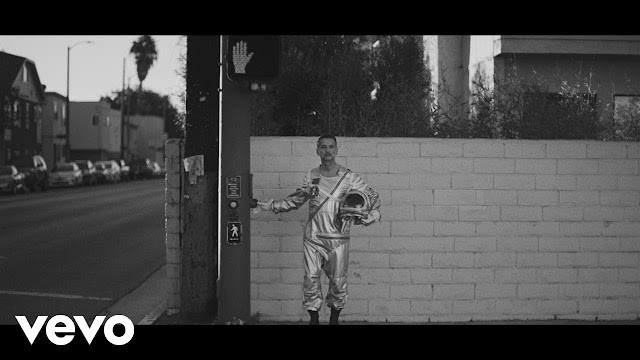 Iconic, multi-platinum selling musical pioneers Depeche Mode have debuted the music video for their single Cover Me, taken from their latest album Spirit, out now. Depeche Mode has always placed an essential emphasis on the quality of their videos, collaborating with world-class directors on some of the most powerful and influential short films in music video history. Cover Me is no exception. Directed by their longtime creative collaborator, Dutch photographer and filmmaker Anton Corbijn, Cover Me features a pensive Dave Gahan, dressed in astronaut attire, restlessly wandering through an empty Los Angeles and adrift in space. Shot in black and white with heavily contrasted light and shadow, the video is as moody as the song itself. Watch it below! A big surprise for me was how ‘Cover Me’ ended up being. I always heard this idea of the song being in two halves. The song is here and then you kind of get in the spaceship and go somewhere else.